The season opener against Miami might still be months away, but John Hevesy knows his young and inexperienced offensive line has no time to waste. That is evident at every single spring practice. While other coaches with veteran units might be a little more laid back and having fun with their guys right now, Hevesy is all business. With just one starter returning from last year’s offensive front, he has to be. 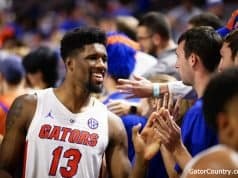 The Gators may very well have to rely heavily on freshman and other players who have barely played a college snap coming into the 2019 season. One of those players, redshirt freshman Chris Bleich, is a fan of Hevesy’s hardnosed coaching style. The offensive line has a long way to go before August 24, and it’s not going to get there with someone sugarcoating things. Hevesy was especially displeased with the unit’s performance in Thursday’s practice. Maybe it had something to do with the week off, but things just weren’t clicking, even more than usual. 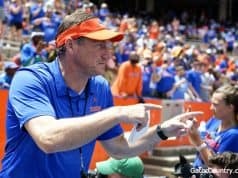 Other post-practice meetings disbursed and players were sent on their way, but 30 minutes later, Florida’s offensive line remained on the field. Despite Hevesy’s typical nature, it wasn’t a heated discussion, but more of a wakeup call. 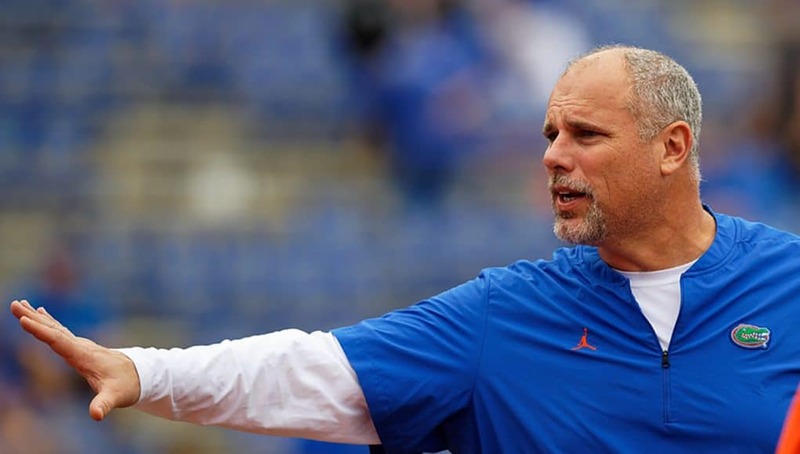 Whether it’s through harsh yelling or calmly laying it all on the table (but mostly yelling), Hevesy has proven that his coaching style works. 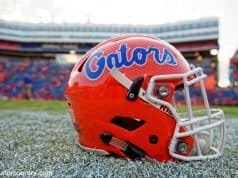 As he says, the offense goes as the offensive line goes, and Florida’s offense made major strides a season ago. Most of the linemen, especially the younger ones he is trying to develop, knew what they were getting themselves into the day they signed their papers. Hevesy told them he would talk to them like men whether they’re 17 or 23, and they respect that. It doesn’t always show in the product on the field, but they have fully bought into everything he’s…screaming.